Google axed its Talk messenger about three months ago and focused its push on Hangouts instead. 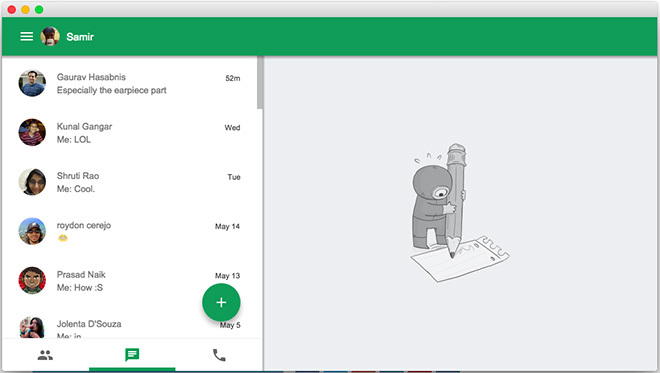 Now the search giant has updated the Hangouts app for Chrome browser with the Android’s Material Design language. The new design slices the page in two columns – right one shows current conversation and left side shows a stack of recent conversations. Mac OS X users can directly download the new Hangouts app for Chrome while the users on Windows, Linux and Chrome OS will have to disable the transparent mode in settings first.